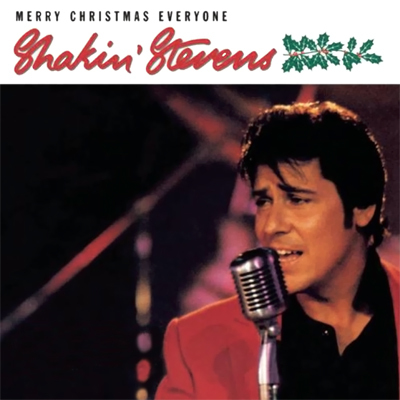 This Xmas song sung by Welsh singer Shakin' Stevens was written by Bob Heatlie and produced by Dave Edmunds. It was Stevens fourth No.1 single in the UK Singles Chart. First released on 25 November 1985 it was the Christmas No.1 for that year. Since then it has been included on many top-selling Christmas collections and gets frequent airplay every Xmas season. In 2007 the song re-entered the UK top 30 and reached number 22 on the Christmas chart. This was due to downloads now being included in the UK Singles Chart. In previous years this would have been impossible unless there was a physical re-release of the song. From 2007 to 2017, the song charted in the UK at peak positions 22, 36, 49, 47, 42, 46, 54, 38, 26, 17 and 10. Originally only in the chart for eight weeks, it has now amassed over 60 in total.